The average payback time for a typical solar energy system (5kW) is approx. 7 years. Energy rates in the City of Springfield are a relatively low $0.126/kWh. If you installed a 5kW system you would save approx. $792 per year on your electricity bill ($66/month). The state-wide solar rebate scheme for the residents of Massachusetts is managed by the Commonwealth Solar Rebate Program with the actual value of the rebate varying from one customer to the next. Calculating the rebate is based on several different factors, such as those that relate to you income, property value, and location of PV equipment purchased. The base incentive starts at $750 per kW with extra $$$ added provided certain criteria is met, with the maximum rebate set at $20,000. 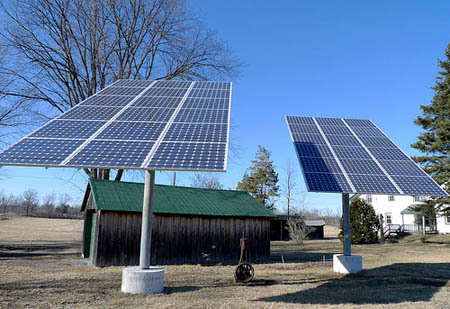 A maximum tax credit of 15% (up to $1,000) is permitted in the state of Massachusetts which is deducted from the net cost of the installation and the solar energy system. Requirements to applying for the tax credit include a need for the system to be brand new and to remain in operation for at least 5-years. Property and sales tax exemptions apply state-wide in Massachusetts for any wind or solar energy equipment which serves the purpose of supplying energy to your main place of residence. Installed PV equipment often increases the marketable value of a property, which is calculated at 20x the annual savings found in energy costs. The Renewable Portfolio Standard (RPS) for the state of Massachusetts is administrated by the City of Boston which has mandated that at least 400 MW of solar energy will be sourced by the year 2020. Although, in order to reach this target an aggressive approached might need to be adopted. A target increase of 1% in green energy is required for each year until reaching 15% in 2020; from there the 1% increase will continue, with no expiration date set. Net-metering is available state-wide for all residents of Massachusetts who install solar PV or wind systems up to 2 kW. Net-metering is a process where customers receive a credit for surplus energy generate but not unused – with a credit applied to each monthly bill.